Click here to load a full-resolution version of the map as a PDF, ready for A4 printing (1.2MB). 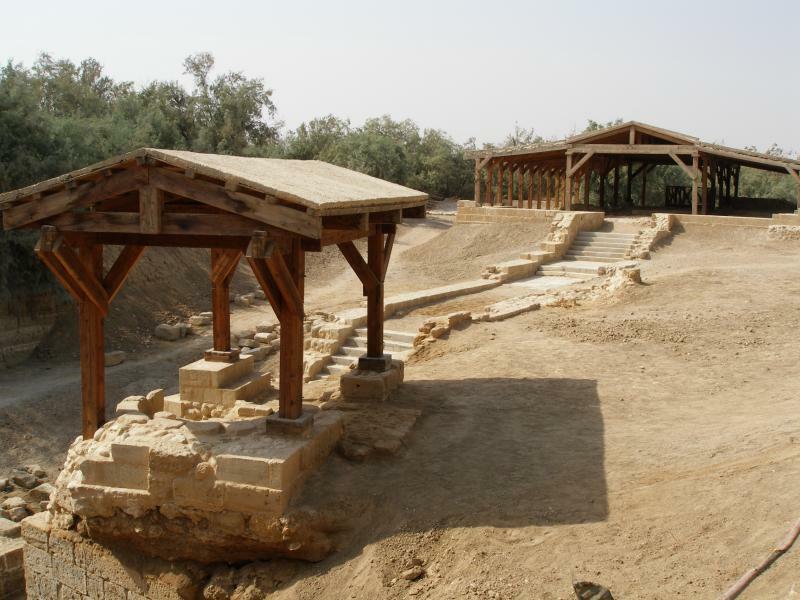 The Jordan River runs through the land and history of the Bible, giving its waters a spiritual significance that sets it aside from other rivers. 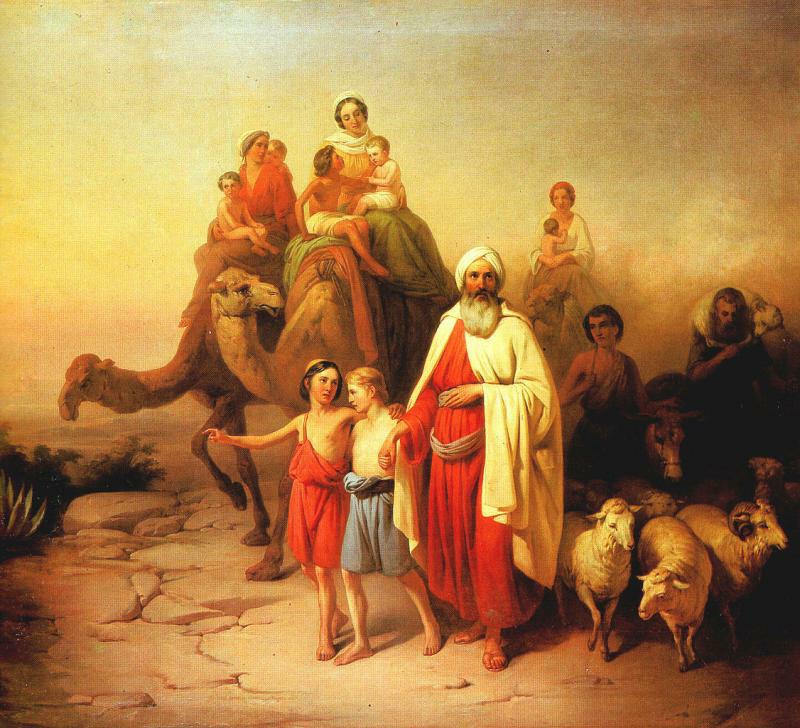 The Jordan is significant for Jews because the tribes of Israel under Joshua crossed the river on dry ground to enter the Promised Land after years of wandering in the desert. 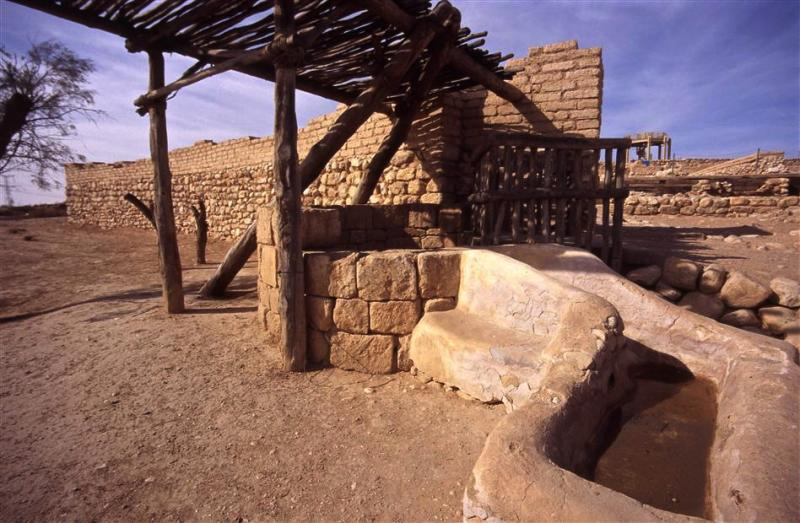 It is significant for Christians because John the Baptist baptised Jesus in the waters of the Jordan. The prophets Elijah and Elisha also crossed the river dry-shod; and the Syrian general Naaman was healed of leprosy after washing in the Jordan at Elisha’s direction. 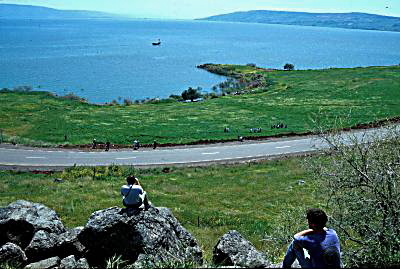 Flowing southward from its sources in the mountainous area where Israel, Syria and Lebanon meet, the Jordan River passes through the Sea of Galilee and ends in the Dead Sea. A large part of its 320-kilometre length forms the border between Israel and Jordan in the north and the West Bank and Jordan in the south. The river falls 950 metres from its source to the Dead Sea. For most of its course down the Jordan Rift Valley, it flows well below sea level. Its name means “Dan [one of its tributaries] flows down”. Though an old song says the River Jordan is “deep and wide”, the modern river is neither. In places it is more like a creek than a river — less than 10 metres across and 2 metres deep. From Jesus’ time until the mid 20th century, seasonal flooding in winter and spring expanded its width to 1.5km. Dams in Syria, Jordan, Lebanon and Israel now preclude flooding. 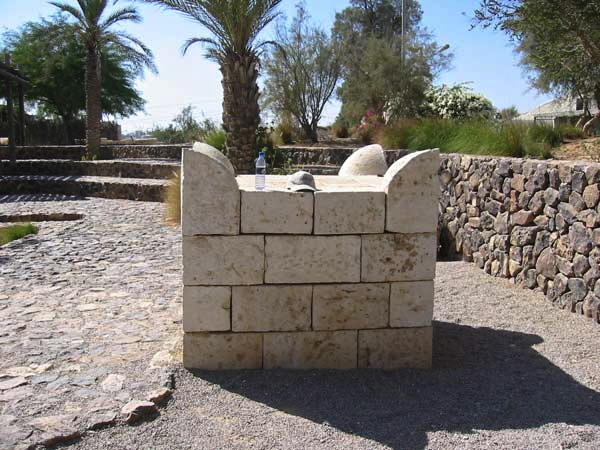 The place where Jesus was baptised by John the Baptist is believed to be in Jordan, on the east bank of a large loop in the river opposite Jericho. 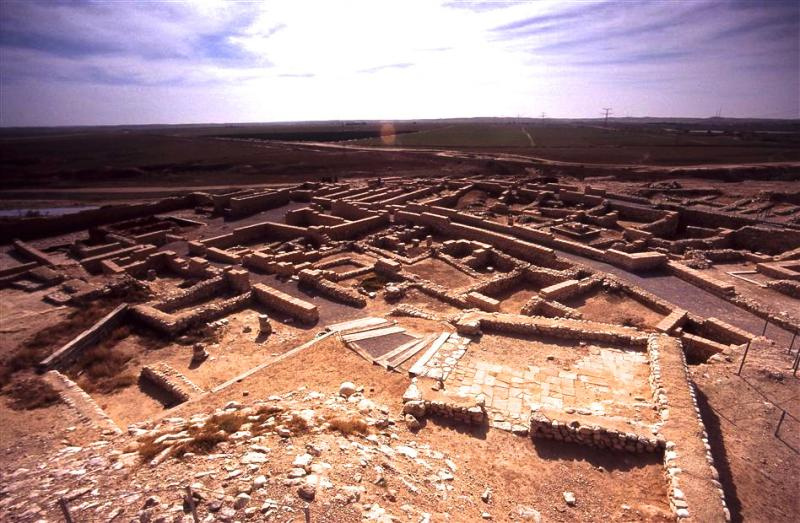 A site less than 2km east of the river’s present course, at Wadi Al-Kharrar, has been identified as Bethany Beyond the Jordan. 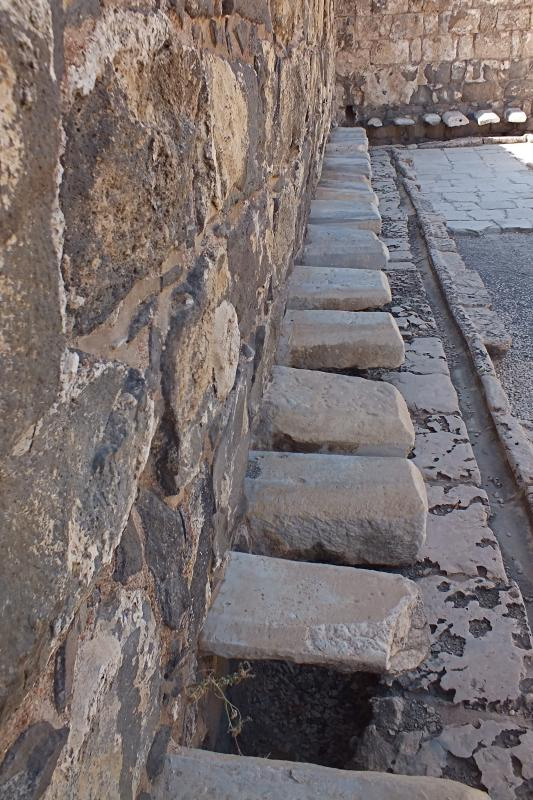 This is where John lived and baptised, and where Jesus fled for safety after being threatened with stoning in Jerusalem. Until the 1994 peace treaty between Jordan and Israel, the area was a Jordanian military zone. 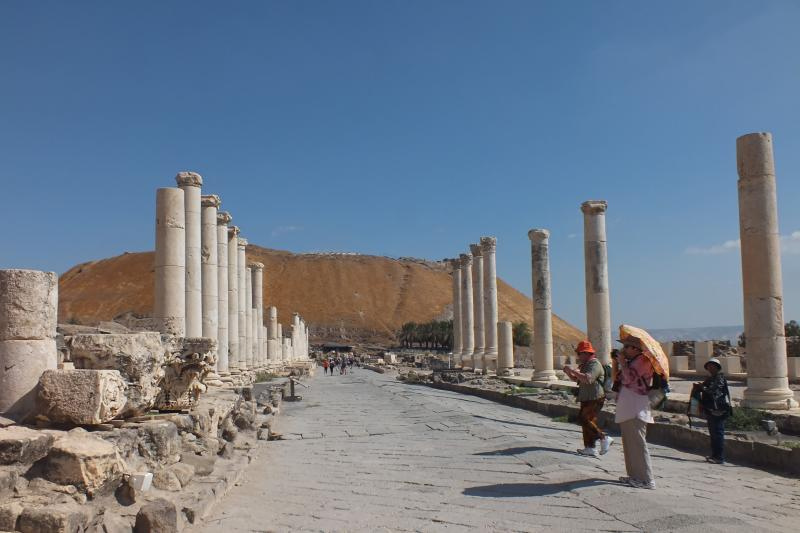 After clearing nearby minefields, the Jordanian government has made the place accessible to archaeologists, pilgrims and tourists. 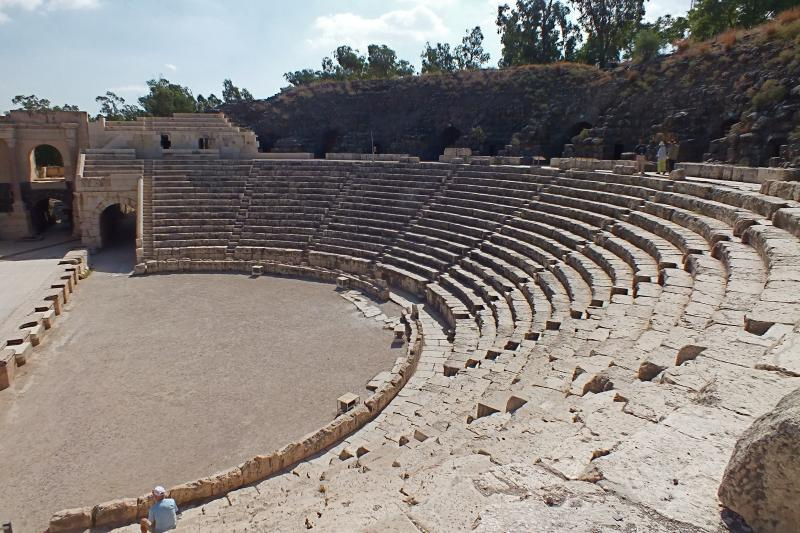 Jordan’s new Baptism Archaeological Park contains the remains of a Byzantine-era monastery featuring at least four churches, one of which is built around a cave believed to be the one that ancient pilgrims called “the cave of John the Baptist”. 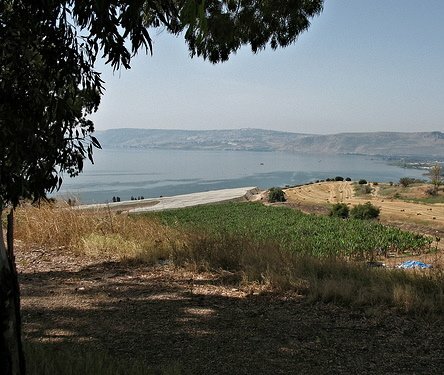 While the Jordanian location was inaccessible, a modern site commemorating Christ’s baptism was established at Yardenit in Israel, at the southern end of the Sea of Galilee. 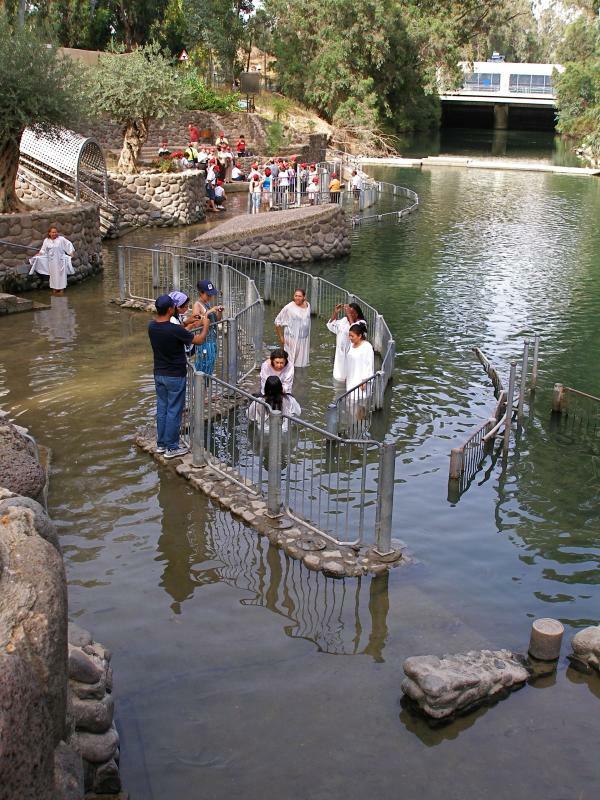 Maintained by a kibbutz, it is a popular place for Christian pilgrims to renew their baptismal promises — or for new Christians to be baptised, often in white robes and undergoing total immersion in the mild waters of the Jordan. 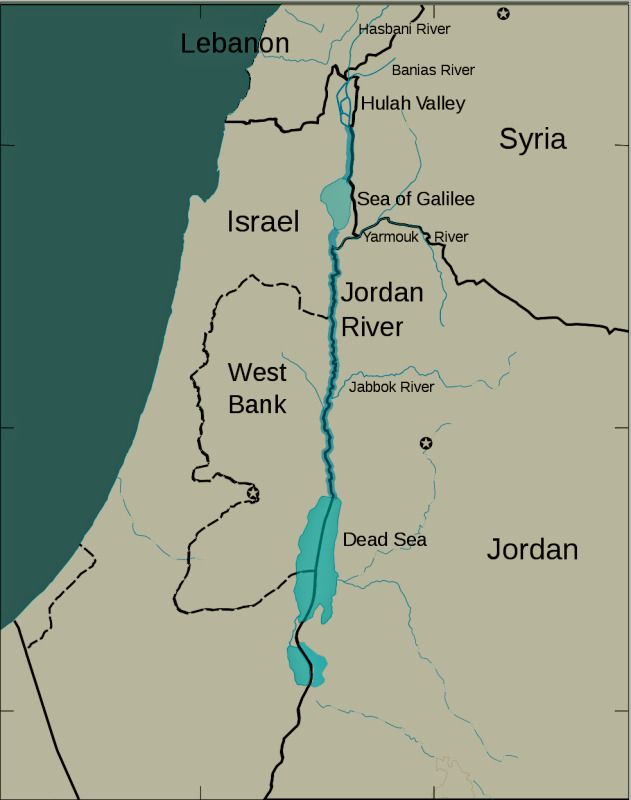 Because its waters are a vital resource for the dry lands of the region, the Jordan has been a source of contention among Israel, Jordan, Syria, Lebanon and the Palestinians. In modern times more than 90 per cent of its natural flow has been diverted for domestic and agricultural use. 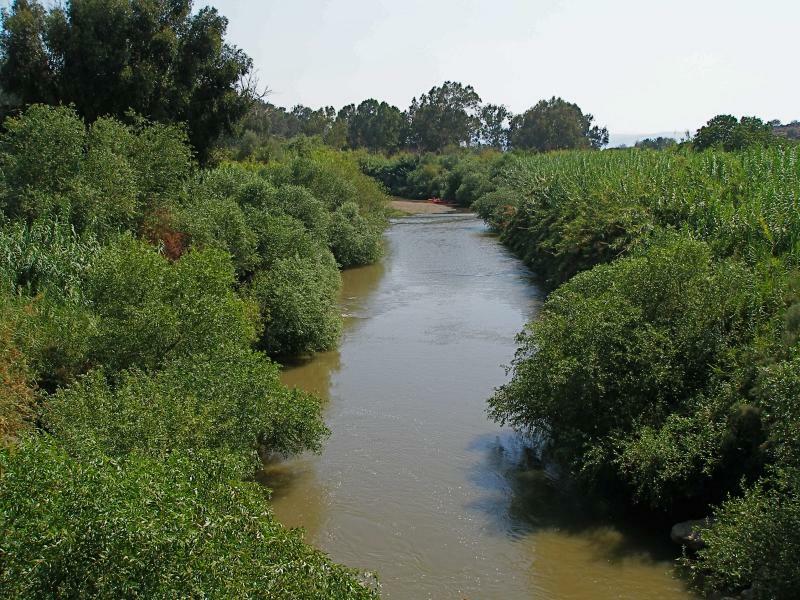 The lower Jordan is heavily polluted by sewage and industrial run-off. The Dead Sea, which shimmers like a blue mirror under all-day sunshine, is one of the most unusual bodies of water in the world. It is set in the lowest dry land on earth, so it has no outlet. 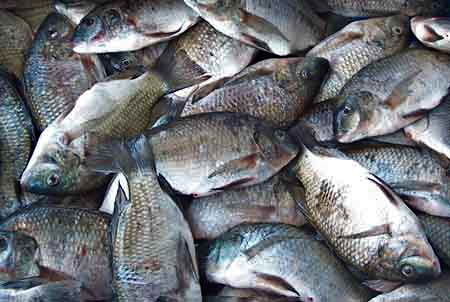 It is so loaded with minerals that no fish can live in it. It is so dense that bathers can lie back on its surface and read a newspaper. 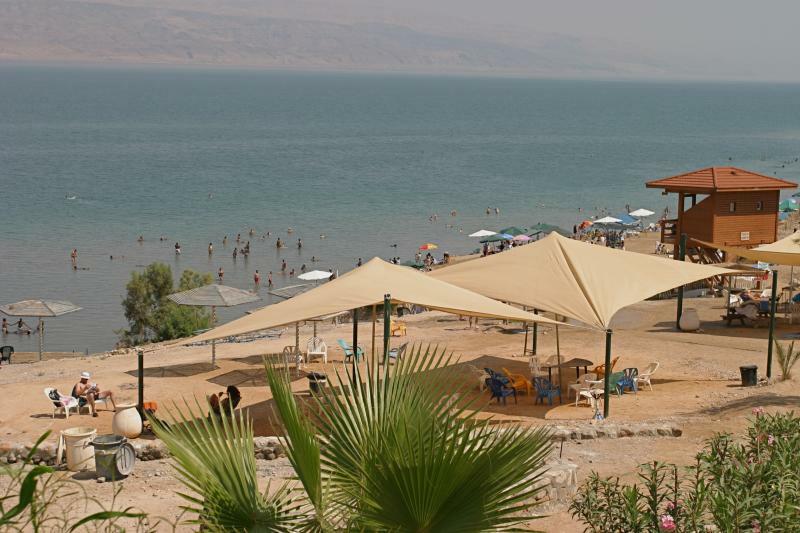 The Dead Sea is located about 25km east of Jerusalem, along the border between Israel and Jordan. About half of it is actually in Jordanian territory. 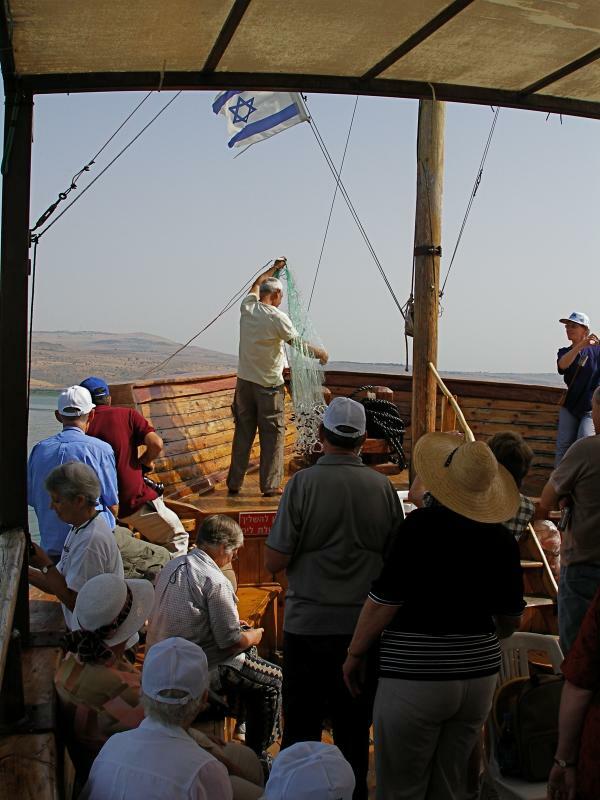 The ancient Hebrews called this body of water the Sea of Salt. Other ancient names include the Sea of Solitude, the Sea of Arabah and the Asphalt Sea. The Crusaders called it the Sea of Satan. The Dead Sea’s therapeutic qualities attracted Herod the Great. Its minerals and sticky black mud provided balms for Egyptian mummies and cosmetics for Cleopatra. Now its health resorts treat psoriasis and arthritis, its skin-care products are marketed worldwide, and its industrial evaporation pans harvest potash and other minerals. 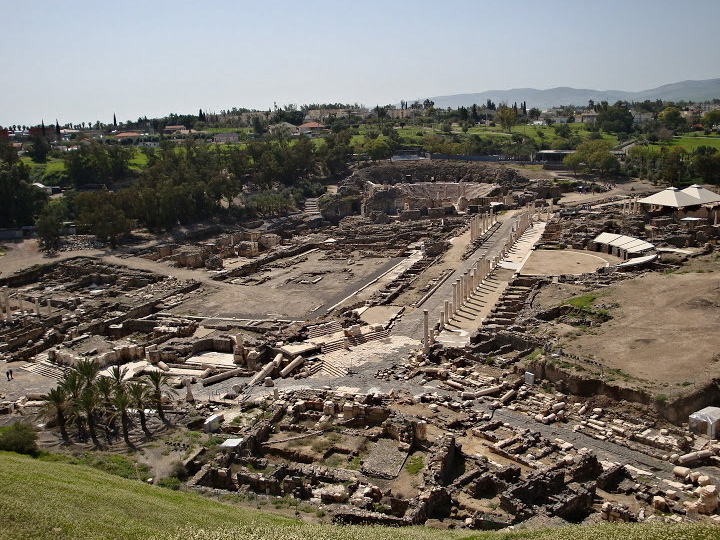 The region has many biblical connections. Here, though their locations are unknown, the wicked cities of Sodom and Gomorrah were destroyed by God with “sulphur and fire” and Lot’s wife was turned into a pillar of salt for looking back at the destruction (Genesis 19:24-26). Among the salt encrustations around the sea is an unusual column at the southern end called Lot’s Wife (though it is 20 metres high). On the eastern side, the highest peak visible is Mount Nebo, where Moses glimpsed the Promised Land. 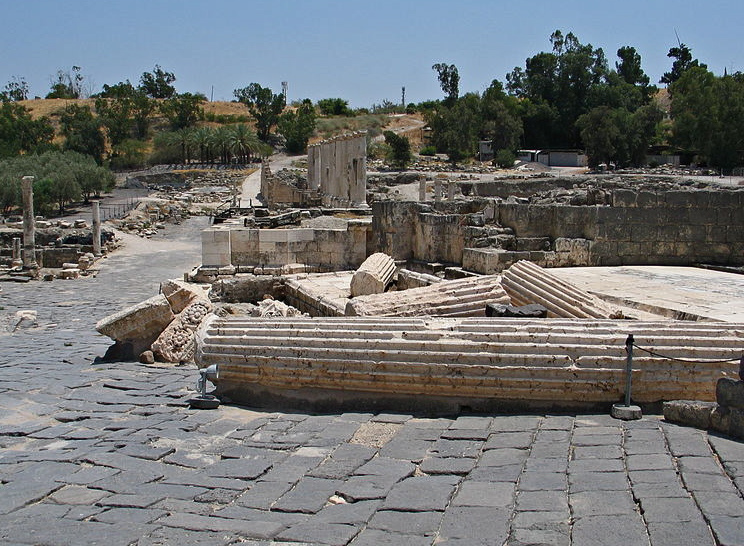 Further south stands the fortress of Machaerus, where Herod Antipas imprisoned and then executed John the Baptist. 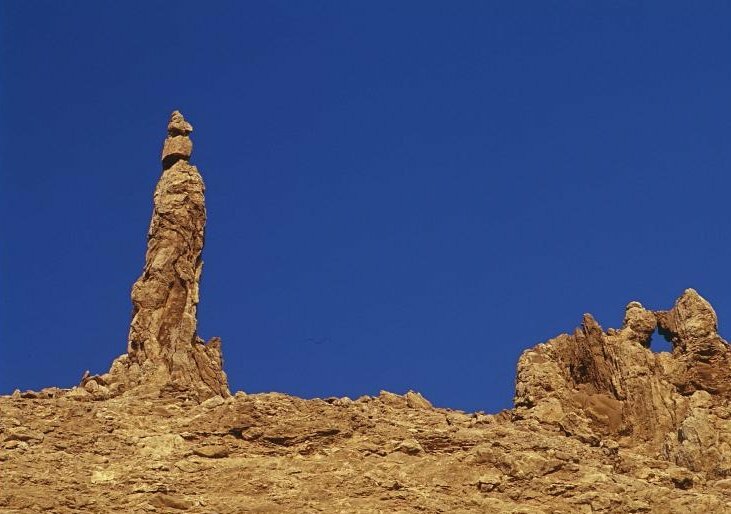 On the western side, from north to south, are Qumran, where the Dead Sea Scrolls were found; Ein Gedi, where David hid from King Saul in a cave (and cut off a corner of the king’s cloak when he entered the cave to relieve himself); and Herod the Great’s fortress of Masada. By 2013 the Dead Sea was 50km long, 15km across at its widest point, and 430 metres below sea level. Its area was constantly shrinking and the water level was dropping by more than a metre a year. Because it has no exit, water is lost only through evaporation, which leaves behind the minerals. 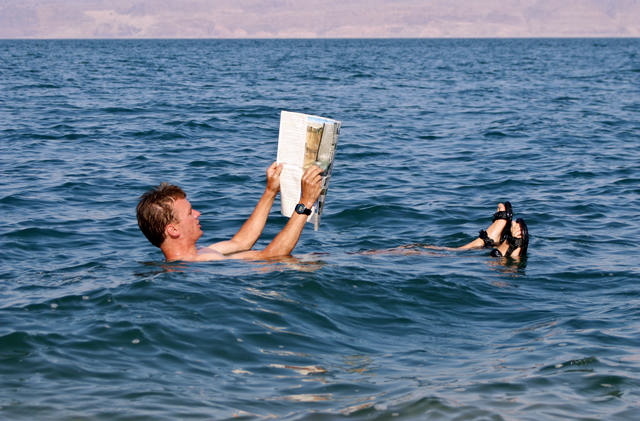 The Dead Sea is nearly 10 times as salty as the open seas. The high concentration of minerals (predominantly magnesium chloride) provides the buoyancy that keeps bathers suspended — as well as a bitter taste. A low promontory of land called el-Lisan (“the tongue”) projects across the sea from the east, dividing the southern third from the northern section. The southern part is now devoted to evaporation pools for mineral extraction. 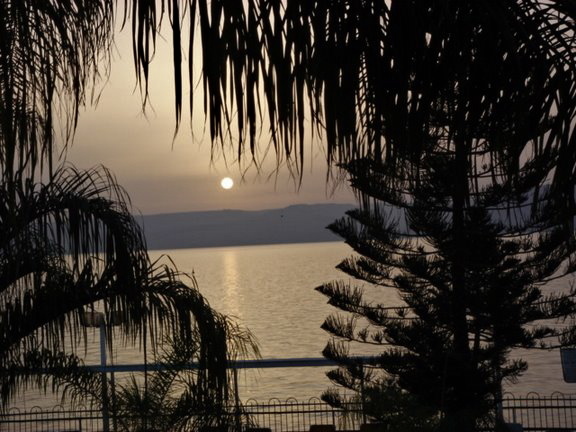 Most of the water that once flowed from the Jordan River into the Dead Sea is being diverted for drinking water and agricultural purposes, so there is not enough to offset the high evaporation rate. Since the late 1980s the landscape around the sea has been reshaped by thousands of sinkholes — caused by fresh water from the mountains dissolving underground levels of salt. This phenomenon has caused some tourist beaches in Israel to close. 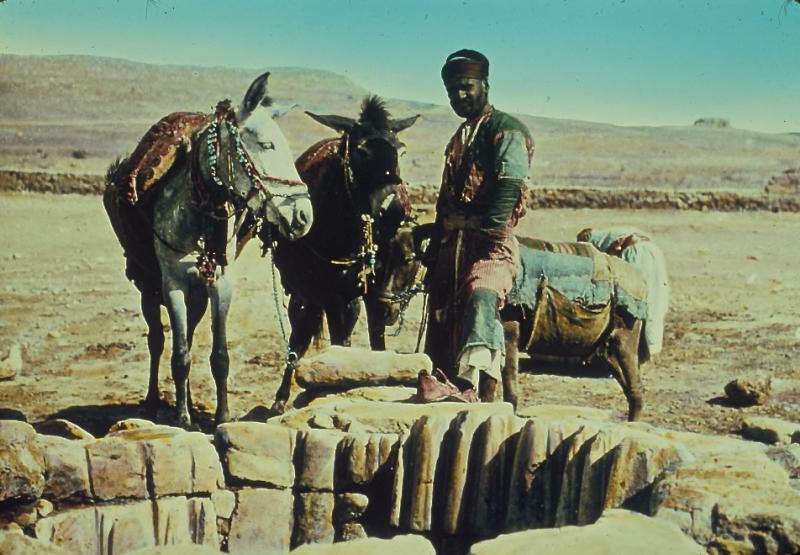 Rescue proposals to prevent the sea drying up have included canals to bring water from the Mediterranean Sea or the Red Sea. If the Dead Sea becomes rejuvenated with fresh water, this could fulfil a prophecy in Ezekiel 47:8-10, that it will “become fresh . . . and there will be very many fish”. 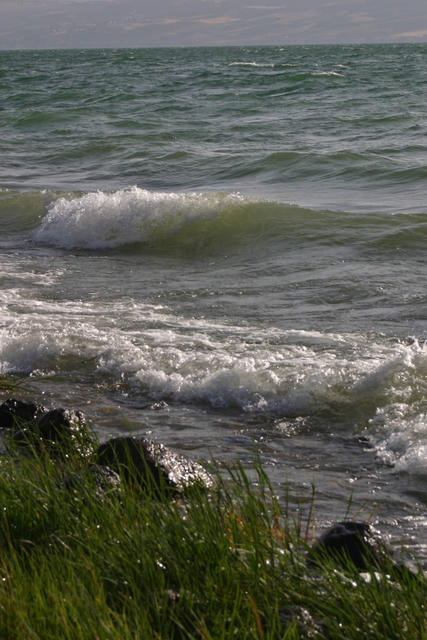 In December 2013, representatives of Israel, Jordan and the Palestinian Authority agreed on a long-term desalination project in which brine would be piped about 180 kilometres from Aqaba, Jordan, to replenish the Dead Sea.